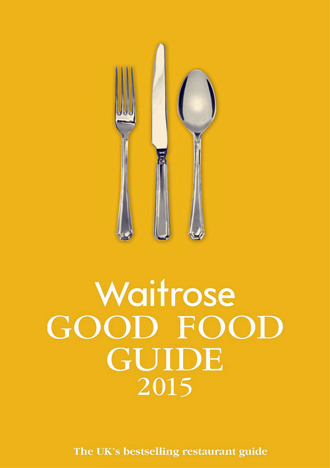 The Good Food Guide publishes its 2015 edition on 8th September 2014 and the No. 1 spot is taken by Simon Rogan’s Cumbrian restaurant L’Enclume for the second year running. For the first time in 15 years three restaurants had a perfect score of 10/10 – one of them the first ever female chef to receive the accolade. Elizabeth Carter, consultant editor of the Good Food Guide, now published by Waitrose, congratulated Clare Smyth, the new head chef of Gordon Ramsay’s Chelsea flagship restaurant, on being the first female chef to achieve 10 out of 10. She said: “Now the domain of Clare Smyth, with support from what is, without doubt, one of the best front-of-house teams in the UK, this most impressive of London’s premier restaurants is back in that elite club. The guide contains impartial reviews of restaurants compiled by inspectors from recommendation by the public. Full list below. Design Restaurants lists the leading properties selected by numerous guides throughout the UK with many providing exclusive offers to Design Restaurants subscribing club members. Learn more about Design Restaurants Club. Become a Design Restaurants club member and start saving today – Just £90inc for 12 months.